One of the things I love to do that makes me feel all girly and pretty, is get my nails done at the nail salon. I usually get my nails overlay with acrylic, this hardens my nails and also helps the polish to last longer and not chip. As of recently I decided to start bringing my own nail polish to the nail salon, just because I feel like I’ve tried every colour they have and I’m just bored with their selection. 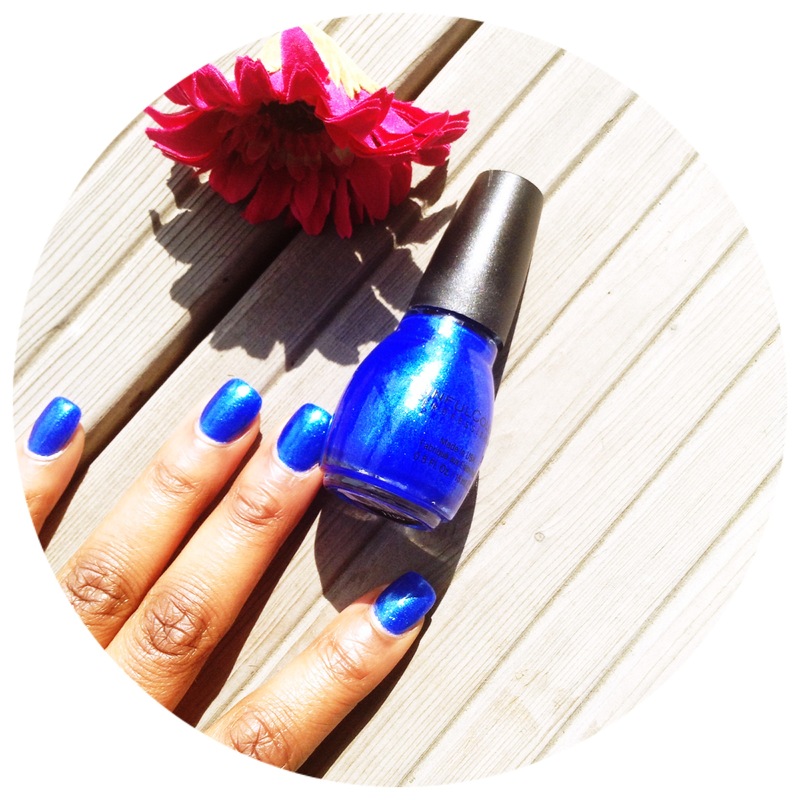 On my hands I have the Sinful Colors in the colour blue by you, I bought this polish at Boots for about £3-£4, the colour is very vibrant and it has little speckles of silver which does add a little glam to your nails. 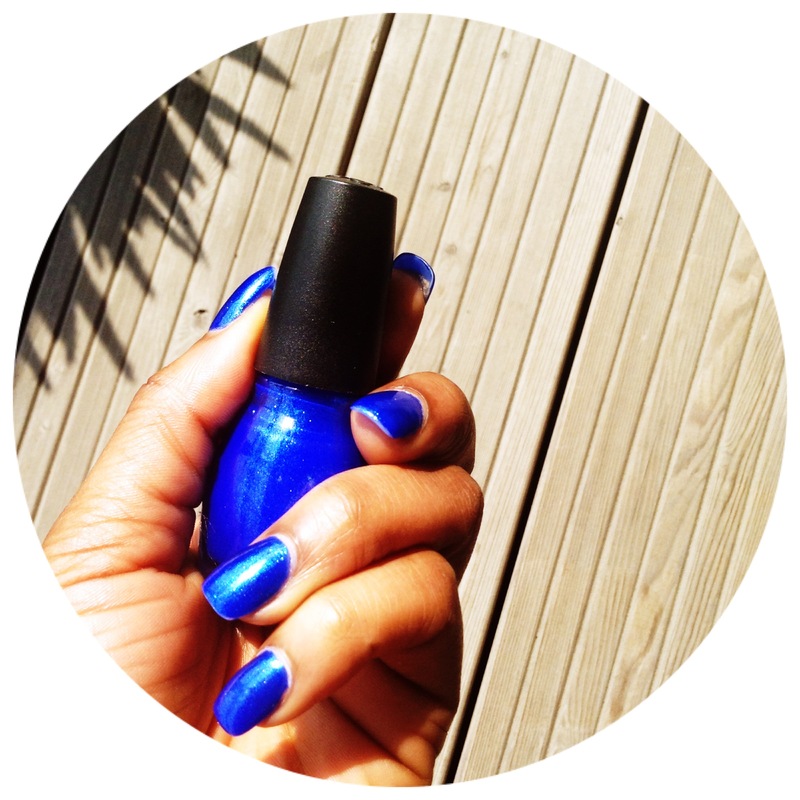 On my feet I have on the Avon nailwear pro+ in the colour cosmic blue (218). This will definitely go in my favourites pile. The only downside to this nail polish is that its not very pigmented, therefore you have to apply at least three coats to get the full vibrancy of the colour.